Piyush Goyal is widely expected to raise income tax exemption thresholds. 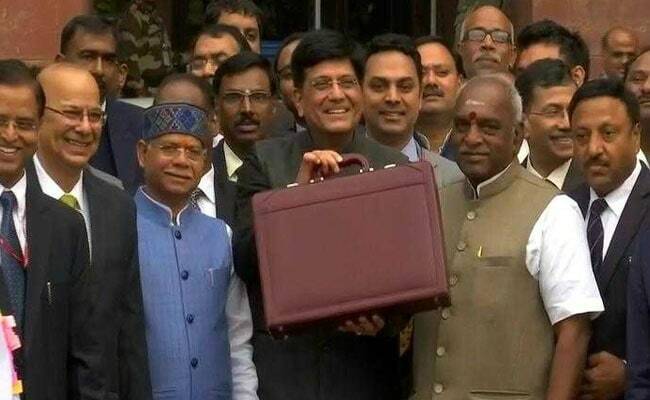 Prime Minister Narendra Modi-led government’s sixth and final budget before the polls due by May is supposed to be an interim budget or a Vote on Account. This may or may not replace subsidies that the farmer gets but will certainly be aimed at addressing rural distress, which was primarily blamed for BJP’s defeat in recent assembly elections in key states. “Higher pre-election spending could risk a second consecutive year of fiscal slippage relative to the government”s targets and would further delay plans to reduce the high general government fiscal deficit and debt burden,” it said. Some say a hypothetical Rs. 700 to Rs. 1,200 per month can be provided to the poorest of the population (around 12 crore people). This will entail an outgo of Rs. 1 lakh crore or 0.5 per cent of the GDP..